Create a Productive Work Environment with Collaboration Software. Build rapport through your business with Communifire. Track project updates, campaigns, or help-desk tickets with a robust set of collaboration tools. How often are project specifications, goals, or processes misinterpreted? Do your employees need to hunt down each team member when clarification is needed? Social collaboration tools eliminate communication barriers and help everyone get on the same page, regardless of their location. Provide your team with innovative collaboration software designed to meet your organization's dynamic needs. Collaborating between departments, teams, and locations just became as easy as logging into your favorite social network, creating a post, and starting a conversation. Exceed your client's expectations by establishing a central channel of communication with social collaboration software from Communifire. 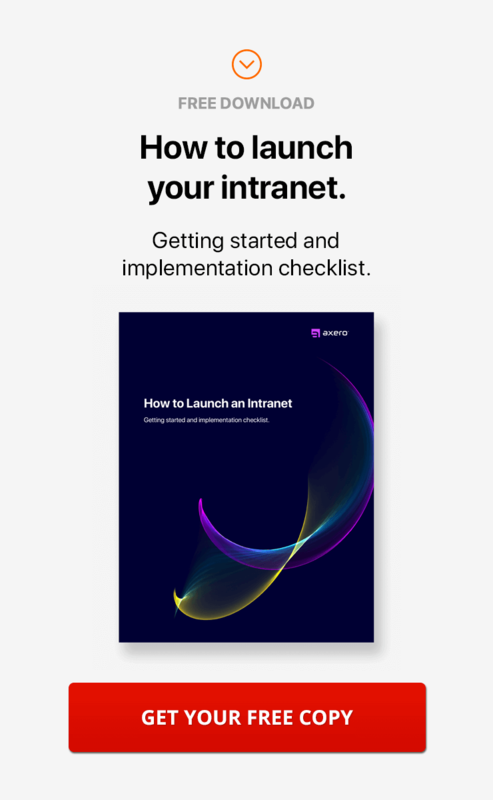 Bridge gaps in communication, unite teams, and witness your company's best work when employees have the tools and support of a cloud-based intranet. Explore how Communifire can help your organization encourage efficiency, enhance productivity, and offer superior service. Simplify the brainstorming process with virtual collaboration tools within Communifire, like ideation. Request feedback, gather information, and conceptualize upcoming projects within teams or among departments. Administrators have control of permissions, which ensures only important parties have access. Use collaboration tools to eliminate unnecessary processes and streamline work flows throughout your organization. With messaging, chat, and notifications, every team member is able to see what's going on at the same time. Give team members a voice by using rating systems to highlight the best posts. Social collaboration streams are easily scanned with Smart Search, a feature within Communifire that indexes all information within the platform, including comments, posts, and files. Instead of halting productivity in search of an answer, users can take advantage of the first time a question was asked and quickly find needed information. Quickly upload, edit, and review documents with team members using the file manager. Ideal when collaborating with multiple teams or departments, cloud file storage ensures critical documents are accessible in seconds. Invite specific members of a team or your entire organization to participate in a conversation with @mentions. Show support with Like buttons, use #hashtags, and monitor case progress Communifire's innovative social collaboration platform. Follow up with team members after a project or event using polls and surveys. A simple, fast, and fun way to get a large amount of feedback all at once, polls and surveys offer insight into your company's collective well-being. Use survey data to measure employee or customer satisfaction, monitor process efficiency, or encourage suggestions for change.